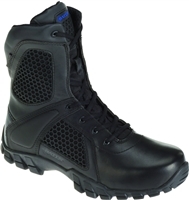 The SRT-7 Tactical Boot offers Non-Metallic Shank, Hardware, and construction which makes this undetectable in an electronic security setting. 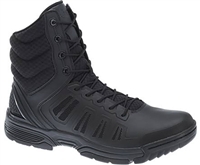 The Bates 5" Tactical Sport Composite Toe Boot is a lightweight, flexible boot. 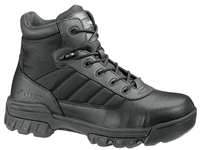 The Bates Men's Delta-6 Side Zip Boot was built to provide you with comfort and performance. 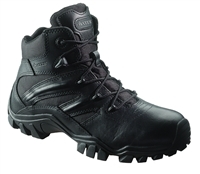 Features Non-Metallic shank, hardware, and construction so you are undetectable in electronic security environment. 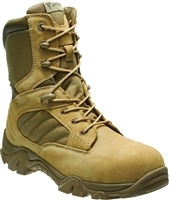 The Men's Bates GX-8 Desert Composite Toe boot is lightweight but tough. The Men's Bates GX 8 Sage Composite Toe boot features stain and water resistant Wolverine Warrior leather. This boot is ideal for security personal that work around x-ray scanners and are looking for a nonmetallic airport safe boot. 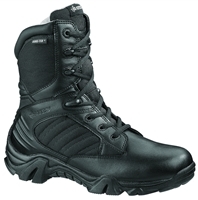 The Men's Bates 8" Strike Tactical Boot is made from a durable waterproof leather for a long lasting wear.